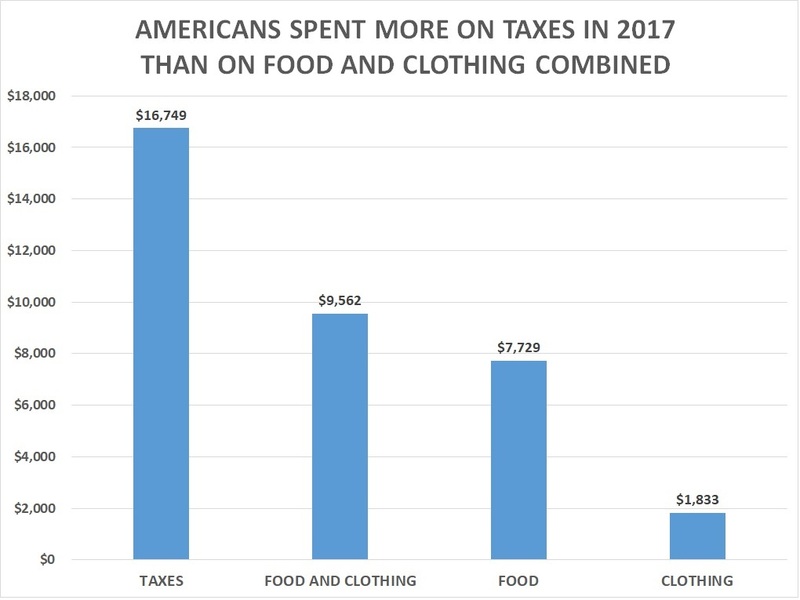 (CNSNews.com) – Americans on average spent more on taxes than on food and clothing combined in 2017, according to the Bureau of Labor Statistic’s new data on consumer expenditures, which was released this month. These consumer units had an average before-tax income of $73,573 and their largest average expenditure was $19,884 for housing–a sum that included the average property tax bill of $2,065. This entry was posted in Economy and tagged taxes on September 26, 2018 by Bone Fish. With no real wages rising and from what I’ve heard, around 6 million people out of work, this is no surprise. Stock valuations being propped up by corporate buybacks and the fact that we no longer produce much says it all just about. I know of people who don’t even get $100 worth of food stamps a month. Granted, they are receiving SSDI and other forms of benefits. It’s just mind-boggling how many of us are expected to make it today with the rising costs, lack of rising wages, and the constant increasing of the money supply since around 2008 moving forward.